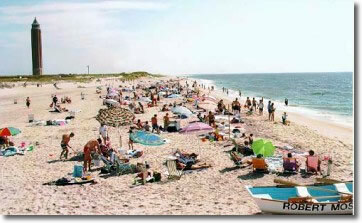 Robert Moses State Park has about five miles of ocean beach from which visitors can swim, surf or surf-fish. Anglers can also fish from piers. A day-use boat basin can accommodate 40 boats. The park also has picnic areas and an 18-hole pitch & putt golf course.